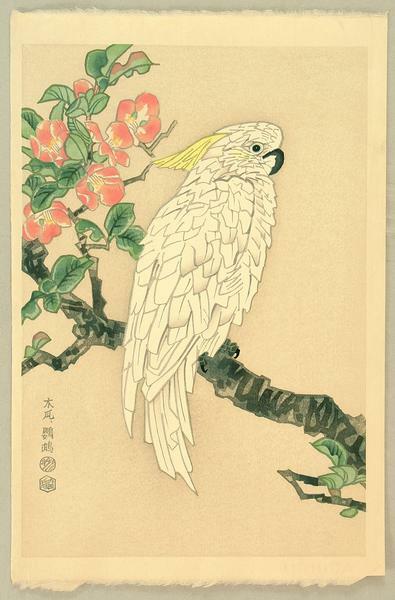 [Go Back] [New Search] Details for Kotozuka Eiichi (1906-) "Parrot and Quince"
Date: Ca 1930 - 40s (looks more like 1950s/60s). Notes: A parrot is sitting on the branch of a Japanese quince. A trial proof before the first edition. Impression Excellent - very good ... Printed on a "Uchida" watermarked paper. Condition Excellent - very good.